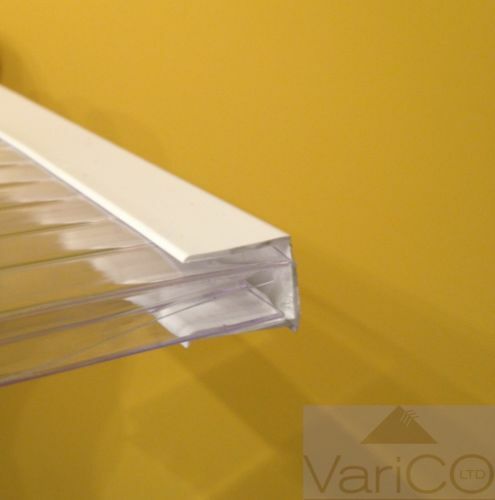 Polycarbonate end closure is used to finish the bottom end of all polycarbonate sheets when fitted into a roof. It is essential when using polycarbonate sheets in a roofing application that end closure is used as it forms a weather proof seal to the ends of the sheets preventing water ingress. 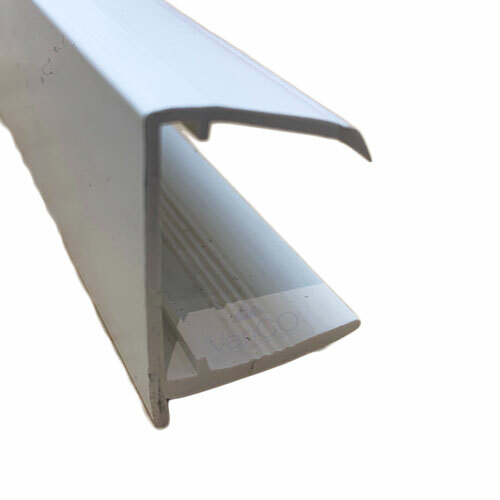 End closure should be used at the lower ends of the roof sheets (nearest to the gutter). Available for 10mm, 16mm and 25mm polycarbonate sheet. End closure should be sealed on to the polycarbonate sheets using a low modulus neutral cure silicone (such as the Soudal LMN silicone available from ourselves). Silicone should be applied along the undersides of the top lip of the end closure to form a weather tight seal and prevent unwanted water ingress inside the sheets. For more installation or technical advice please do not hesitate to contact us.